Greetings dear friends: I love my veggies, we do eat them every day but, since our oldest granddaughter Vanessa (19) turned Vegetarian, we've discovered a whole array of new ones and started eating others that we've just seen at the store but never really grabbed to eat. Like Eggplant.....lovely purple color but it's kind of intimidating just for it's sheer size, then there are the Rutabagas and Turnips.....what's up with this kind of "ugly" roots?? 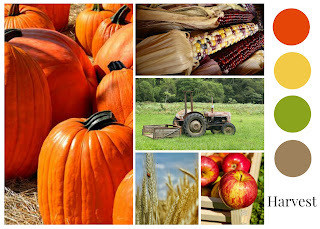 Pumpkins, Butternut Squash, Spaghetti Squash.....well.....they look great for Thanksgiving and Halloween decorations but eat them?? only as Pumpkin pie but I've never eaten the other ones. Anywho, our granddaughter has enlighten us about all of these other veggies, roots and leafy greens and we are ever so thankful, I wont say I will turn Vegetarian but the new flavors and ways to cook this delicious bounty are irresistible. So here is this card, celebrating this new and healthy way to eat our Veggies. 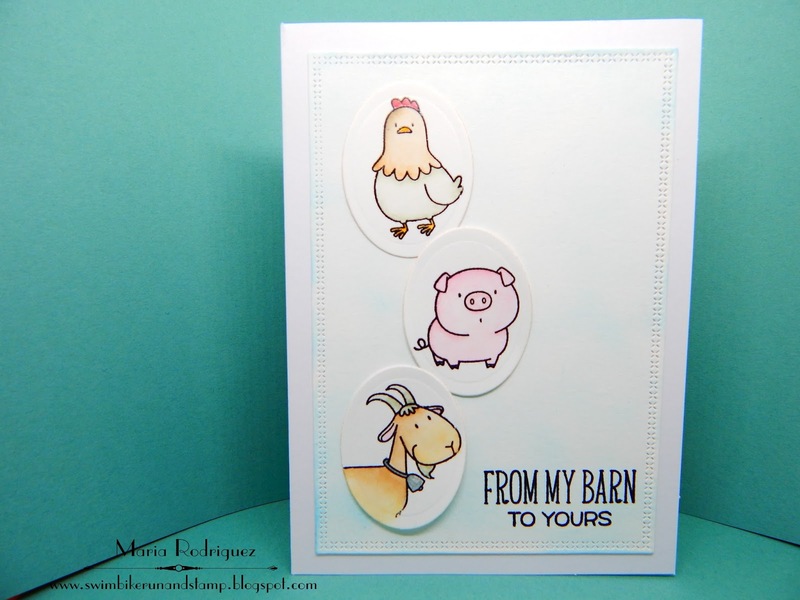 This yummy image is from a Power Poppy set called Farmers Market, it has the freshest veggie images ever!! Stamped it with Versafine black ink onto water color paper and colored with Sakura Koi water colors, the pattern paper is from Lili of the Valley (discontinued😞),the sentiment is from another Power Poppy set called Sage Advice. The sentiment and images are from the Sage Advice set. Craft for the Craic September Challenge "Autumn Colors"
Really Reasonable Ribbon Challenge #172 "Anything Goes with Ribbon"
I was inspired by the gorgeous colors of the picture. Hello everyone: I really like making cards with a sketch, I've always had a bit of a problem with the layouts of my cards and sketches provide me with a set plan that I can more or less, execute easily, except when it's a CAS sketch.....I struggle with this style sometimes and that is why I waited until I found a few challenges that would help me create this card, I will link it to them at the end of this post. This images are from a set by My Favorite Things called The Whole Herd, this little Farm Critters are just the cutest ever. 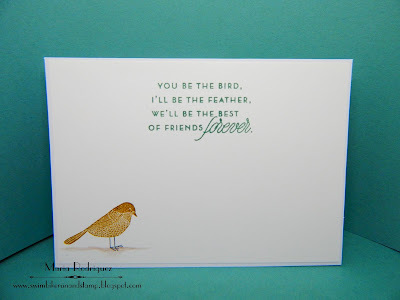 I just stamped this images onto die cuts of water color paper and colored them with SU markers an the aqua painter, the sentiment is from the set. I also die cut the front panel with a cross stitch die. The sentiment and these other little critters are also from the set. Craft Rocket Challenge #41 "Something beginning with "F"
The Sisterhood of Crafters "Use your dies"
The Crazy Challenge #258 "Add an Animal"
Hello everyone: I haven't made a baby card in a while, specially for a baby shower, my stash of this types of cards has none!!! and, because my daughter who lives next door to us, knows a lot of people from Church and she is always being invited to Baby and Wedding showers, I thought I better make a few of this cards for those last minute requests she is famous for. So here is this card which I will link to a few challenges at the end of this post. 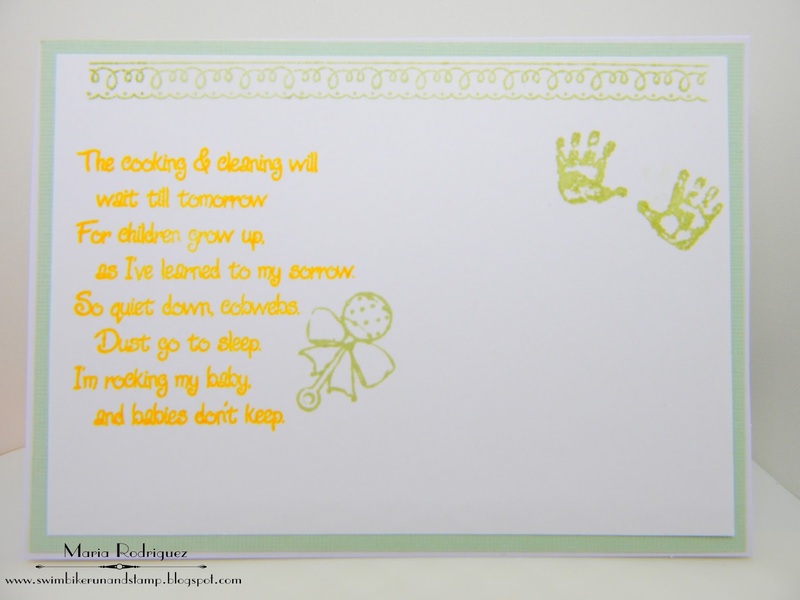 This cute baby images are from a beloved and discontinued Flourishes set called "Hello Baby", this set totally captures the sweetness of everything baby!! the onesie and booties. 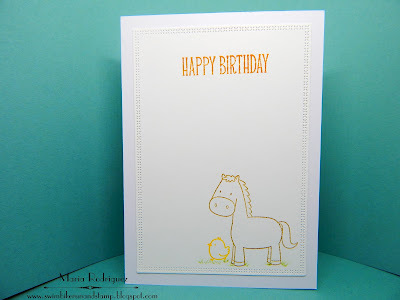 I stamped the images onto water color paper with Versafine black ink and die cut them with my Spellbinders Oval dies. I colored them with SU markers and an aqua painter. 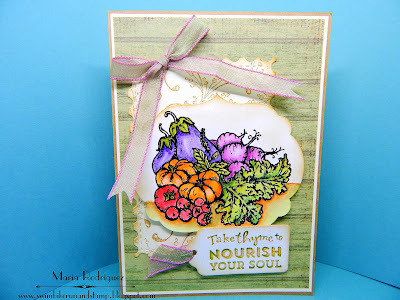 The sentiments are from another sweet baby Flourishes set called "Baby Love", I die cut them using the smallest die from a Spellbinders set called "Resplendent Rectangles", the pattern paper is from Lili of the Valley (discontinued) the brads are from my stash. This is a card that you give in person, the little toy brads are a bit bulky. 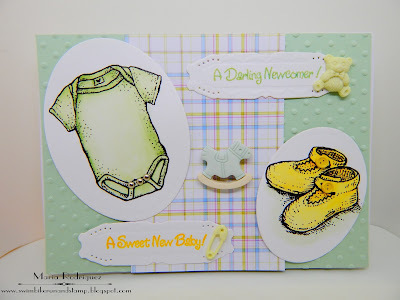 The sentiment and Rattle are from the "Baby Love" set, the tiny hands from Hero Arts. The lace on top from SU retired "Delicate Details"
I'm entering this card onto the flollowing challenges. 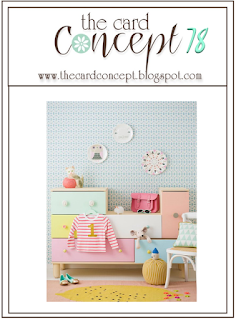 The Card Concept I want to say this is "Clean and Layered" I took my inspiration from this adorable picture of a baby's room and all of those beautiful pastels and stuffed animals. 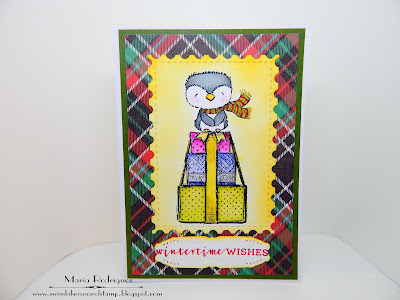 The Crafty Addicts Challenge #40 "Use Brads or Buttons"
Hello everyone: I have another card to add to my Christmas stash, I have a good amount but it never hurts to add one more. I will link this card to a few challenges at the end of this post. 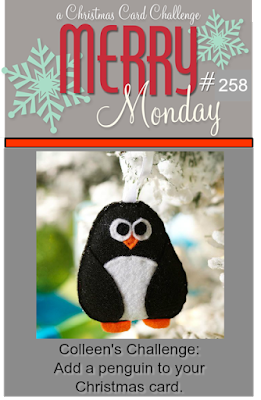 This little penguin is from Purple Onion Designs and it's called FROST, I stamped him on top of a stack of Christmas gifts from an old Flourishes set called "All Wrapped Up! ", masking the bow. 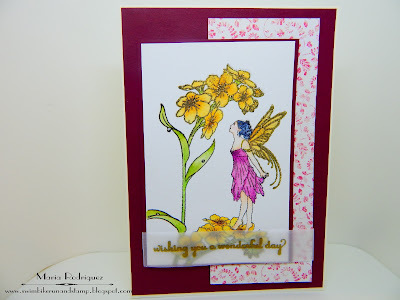 Colored this images with Sakura Koi water colors, the pattern paper is from my stash, the sentiment is from a Power Poppy set called Cozy Cupfuls, stamped with SU Real Red and die cut with the smallest die from a Spellbinders Nestabilities set called "Resplended Rectangles". 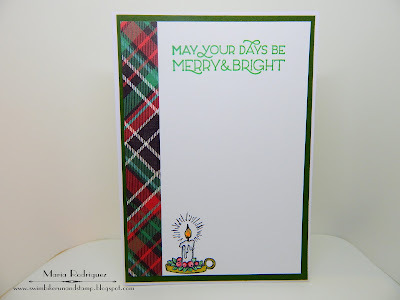 The sentiment is from a Power Poppy set called Poinsettia, the little candle from Merry Littles. Holly and Ivy Christmas Challenge #15, "Anything Goes Christmas"
Hello everyone: It's time for a new challenge over at the RETRO RUBBER challenge blog, this time it's all about TRANSPORTATION, whether by plane, ship, card, bus, bike, balloon.....you get the picture, right? 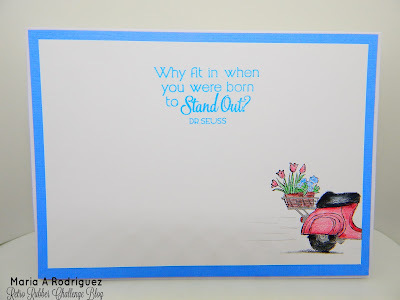 So get crafty and share your TRANSPORTATION creations in our gallery, here is a card I made with one of my favorite retired stamp sets from Stampin' Up! called "On the Grow", this set came in the 2011 Summer Mini. I wish I had one little moped exactly this color, you can picture me on one, can you? 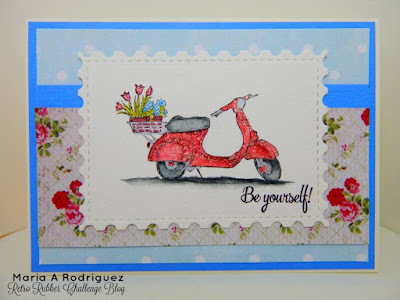 I stamped this image onto a panel of water color paper with Stazon black ink and colored it with water colors and my Wink of Stella, hope you can see the sweet sparkle on this bike. The sentiment is from a Power Poppy set called Sassy Succulents, I just stamped the back of the little bike to make it look like it's leaving but, it has no driver so, I'm guessing she is just walking beside it to go to the next store. 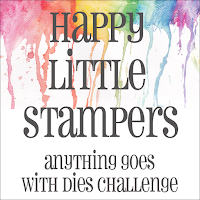 Hello everyone: We have a really cool challenge for you over at SHOPPING OUR STASH that we think you will have tons of fun with. 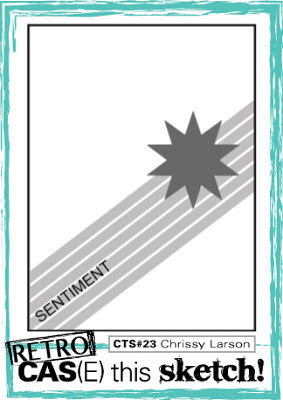 We want you to create a card that would be a bit inappropriate to send to your mom or any other proper and fine lady unless they can take a joke. 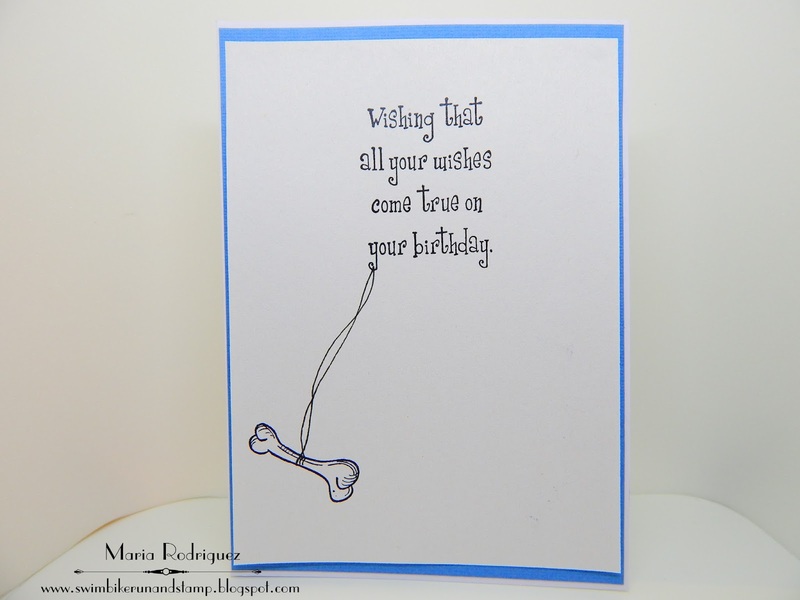 I must confess that I was stumped and even if I do own one set from Art Impressions which I used to make THIS CARD, I didn't want to use it again so, I went to Pinterst to find some ideas and, as always, I was not disappointed at all. 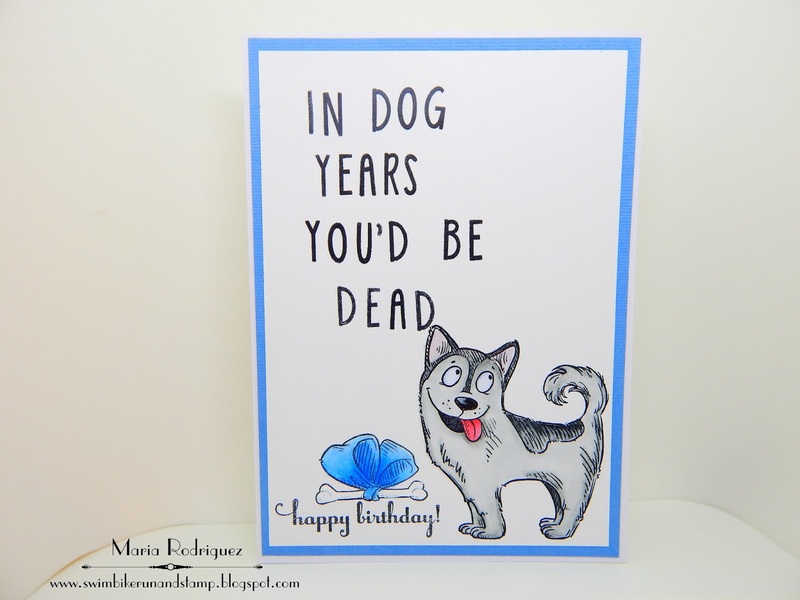 I kind of CASE'd THIS CARD, I just replaced the stick figure with one of the images on this fabulous stamp set from Kaztlekraft called Les Chiens, I adore this doggies!!! The sentiment took some doing, sheeesh!! thank goodness for my MISTI. 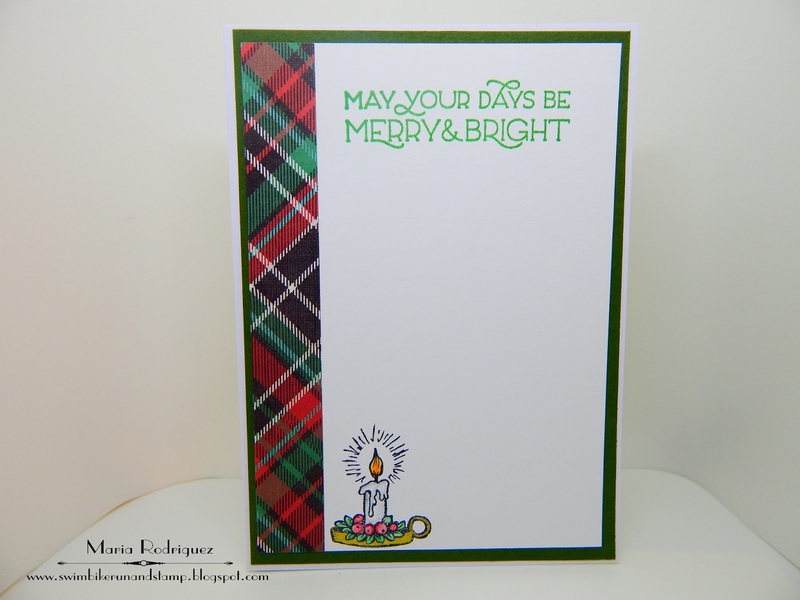 Here is my card and I hope you join us in our gallery, we can't wait to see what you create. This is a card that I think all of my friends and even some of my family could enjoy but, I would never, ever send it to my mother, no way!! I stamped the letters from a super old alphabet set, I think it's from a company called "My First Stamp" or something like that, I've had it for years. The letters are so small and thin that without the MISTI would be almost impossible to line up. 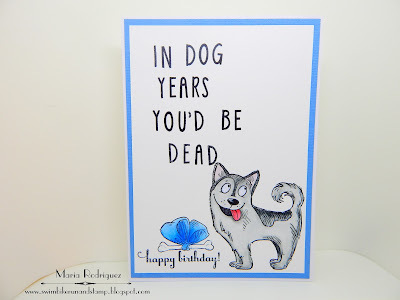 Both the letters and the doggie with his gift were stamped with Stazon black ink and colored with a bit of Basic Gray marker from SU and a black Prismacolor pencil for shadows. The bow was done with a couple of blue pencils. 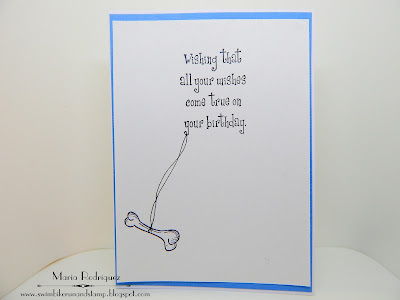 The sentiment is from my stash of birthday stamps with no name or origin, the bone is from the doggie set. 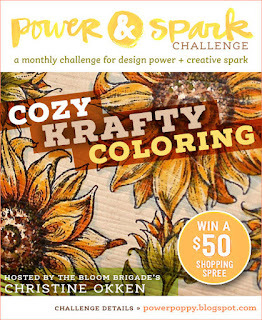 I hope you find this challenge fun and give it a try. 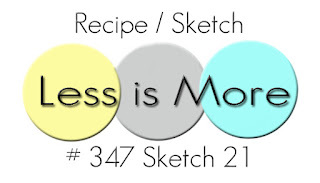 Show us your snarky, a bit inappropriate images and sentiments and let all of us have a good laugh. Thank you for stopping by, I always read every single sentiment you so kindly leave on my posts, I want you to know I appreciate them more than words can express. Hello everyone: I had this image in my box of "unfinished" projects and today I finally finished it up. It's sad to have such a pretty Fairy just stuck in a box, don't you think? This image is from my stash of plain red rubber stamps that my aunt gifted me with some years ago. She found about 25 stamps in a box at a thrift store, they were dusty, some of them stained but I just washed them and was amazed at the beauty of this images. I didn't know where they came from or what company made them but some time later I found out that they were from a company called "Sweet Pea Designs". 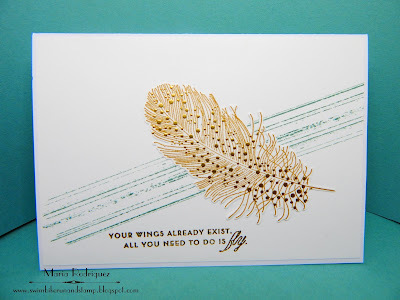 I stamped this image onto water color paper with Stazon black ink and then, stamped the wings and flowers again with Versamark ink and heat embossed with gold glitter embossing powder, then colored it with Sakura Koi water colors, the sentiment is gold embossed onto Vellum. 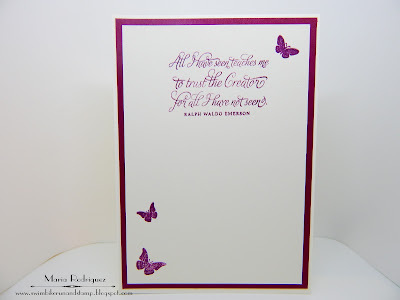 The pattern paper is from a retired line from Lili of the Valley. 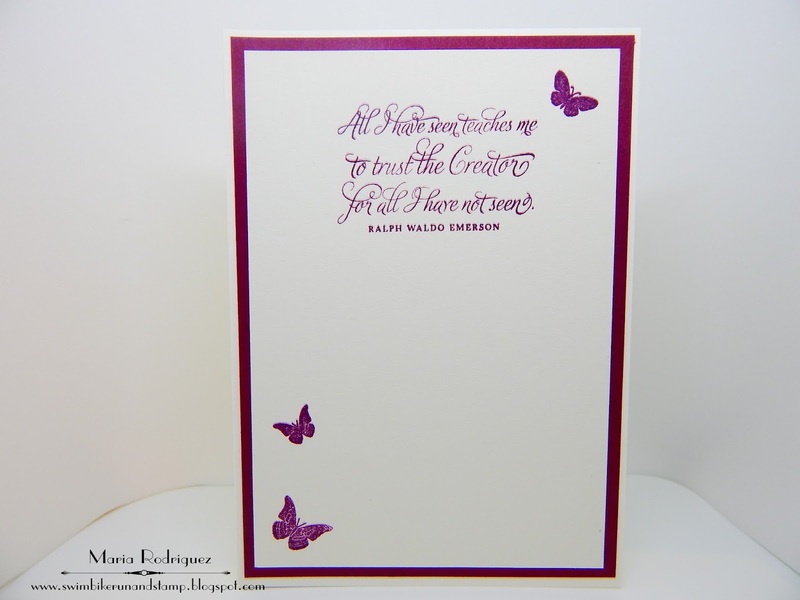 The sentiment is my favorite to use when I make Fairy cards, it's from a discontinued stamp set from Flourishes called "Orchids", the butterflies are from my stash. I'm playing at the following challenges. 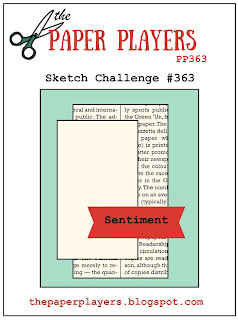 The Paper Players Challenge #363, a sketch from Nancee. 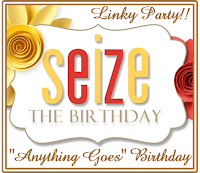 Seize the Birthday "Anything Goes Birthday"
"Anything Goes with an optional theme of Pixie, Gnome or Troll. Thank you for stopping by, I always read every single comment you so kindly leave on my posts, I want you know I appreciate them more than words can express.